Acanya Gel is a prescription medication that contains two acne-fighting ingredients: benzoyl peroxide and clindamycin. It’s used to treat mild to moderate inflammatory breakouts, as well as severe acne. It helps improve bumps and blackheads too. Acanya is a prescription medication, so you won’t find this on your drugstore shelf. 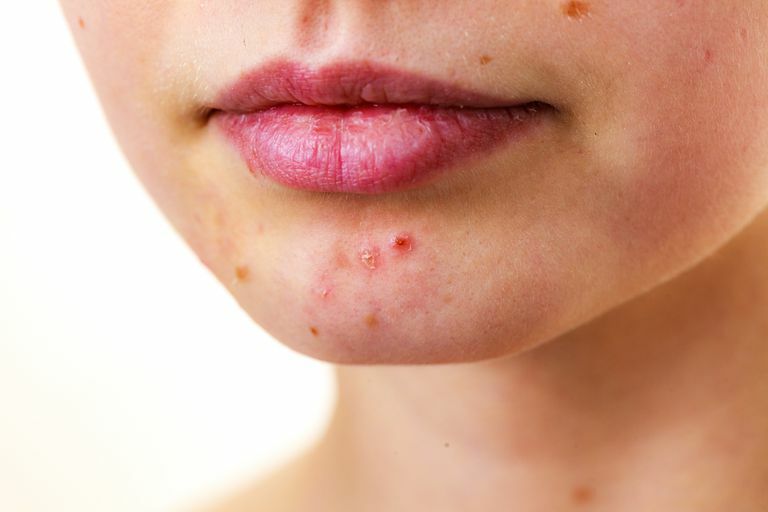 It can be prescribed to teens, tweens, and adults with acne. As a combination medication, Acanya offers the best of both ingredients. Studies have shown the combination of these two drugs works better than using either clindamycin or benzoyl peroxide alone because they hit many different acne-causing factors at once. You are probably familiar with clindamycin. It’s a common antibiotic. It kills breakout-causing bacteria called Propionibacterium acnes. Clindamycin also helps reduce inflammation. Benzoyl peroxide isn’t an antibiotic, but it also works to kill bacteria. The cool thing about benzoyl peroxide is that it helps prevent bacteria from becoming antibiotic-resistant. Acanya Gel comes premixed, and ready to go, with just one pump. You’re paying for the convenience, though, because Acanya can be pricey. If budget is a concern you may want to do a price-comparison at a few different pharmacies. The package insert recommends placing a small dab of the gel on six strategic areas of the face: nose, cheeks, chin, and two dabs across the forehead. Rub gently into the skin until the gel disappears. Make sure you apply it over the entire area, and not just on individual pimples. You’ll use this medication just once a day. You know it has to have some; all medications do. And the side effects are pretty typical of most topical acne medications: mild itching, burning, and dryness. The side effects are usually worse during the first few weeks of treatment, and peak about week four. The good news is, dryness and irritation slowly subside over time and after about three months or so your skin is back to where it was before you started treatment (but most likely, with fewer breakouts). But because of the relatively low percentage of benzoyl peroxide, so you’ll get less drying than with higher-percentage benzoyl peroxide products. Wear your sunscreen! Acanya can cause photosensitivity. You can’t use Acanya if you have Crohn’s disease, ulcerative colitis, colitis, or if you’ve had severe diarrhea while using antibiotics. But topical retinoids and other clindamycin-free acne medications may be a good alternative for you. Pregnant or breastfeeding? Acanya is a Pregnancy Category C drug and hasn't been well-studied in pregnant women or breastfeeding moms. But there are other acne treatments that are safe to use while pregnant. Talk to your dermatologist about those options. Acanya isn’t the only medication that uses a combination of clindamycin and benzoyl peroxide. BenzaClin, Duac, and Onexton do too (although the percentages of each medication are different). Benzoyl peroxide can bleach out towels, pillowcases, and your favorite PJs, so make sure to wash your hands well with soap after you apply it. All those OTC acne treatments you’ve been using? Forgo them while you’re using Acanya (unless your doctor specifically gives you the okay.) Using additional acne treatment products will over-dry and irritate your skin, and won’t clear your acne up any faster. Be consistent. You'll get the best results by using your medication regularly, without skipping treatments. And give it several weeks to really start seeing good results. Don't be shy! Let your doctor know if you have any questions or concerns. Del Rosso JQ. “Topical Therapy for Acne in Women: is There a Role for Clindamycin Phosphate-benzoyl Peroxide Gel?” Cutis. 2014 Oct; 94(4):177-82. Eichenfield LF, Krakowski AC. “Moderate to Severe Acne in Adolescents With S kin of Color: Benefits of a Fixed Combination Clindamycin Phosphate 1.2% and Benzoyl Peroxide 2.5% Aqueous Gel.” J Drugs Dermatol. 2012 Jul; 11(7):818-24. Gold MH. “Clindamycin phosphate 1.2% and Benzoyl Peroxide 2.5% Gel for the Treatment of Moderate-to-severe Acne: an Update.” J Clin Aesthet Dermatol. 2012 Jan; 5(1):30-5. Grove G, Zerweck C, Gwazdauskas J. “Tolerability and Irritation Potential of Four Topical Acne Regimens in Healthy Subjects.” J Drugs Dermatol. 2013 Jun;12(6):644-9. Harper JC. “Gender as a Clinically Relevant Outcome Variable in Acne: Benefits of a Fixed Combination Clindamycin Phosphate (1.2%) and Benzoyl Peroxide (2.5%) Aqueous Gel.” J Drugs Dermatol. 2012 Dec; 11(12):1440-5. Stinco G, Piccirill F, et al. “Efficacy, Tolerability, Impact on Quality of Life and Sebostatic Activity of Three Topical Preparations for the Treatment of Mild to Moderate Facial Acne Vulgaris.” G Ital Dermatol Venereol. 2014 Sep 18. Valeant Pharmaceuticals North America LLC. “Acanya Gel Highlights of Prescribing Information.” [Package insert]. Bridgewater, NJ. Feb 2014.